Cookies Bake Up info about the game-Games2Rule. 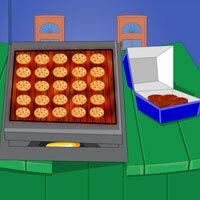 You are need to bake cookies as fast as you can! Click the baked cookies and place it in the pcking box quickly before it gets over baked. As the time runs, you have to react faster. Good Luck and Have Fun!